The BBC Proms Inspire scheme, now in its 19th year, is a platform for 12-18 year olds to develop their skills, share their ideas with like-minded composers and get their music heard. At the centre of the scheme is the Young Composers Competition, giving five young winners a BBC Proms performance, a broadcast on BBC Radio 3 and a BBC commission. 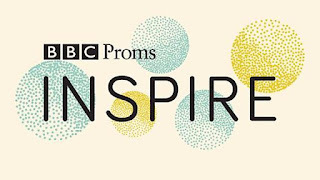 This year's winners have been announced and their pieces will be performed on Monday 14 August 2017 by the Aurora Orchestra, conductor Nicholas Collon, at the BBC Radio Theatre as part of the BBC Proms Inspire Day. The Inspire Day, with leading composers and musicians including Fraser Trainer, Kerry Andrew, Michael Price and Gabriel Prokofiev, will be offering a range of events to young composers, from workshops and speed mentoring to competitions, and a Q&A Panel with professional composers, full details of how to apply from the BBC website. BBC Inspire isn't just a day and a competition, it offers the opportunity to attend Inspire Sessions - interactive workshops led by professional musicians and composers, ticket offers to BBC Orchestras and Choirs concerts and BBC Proms, and access to a thriving online musical community. Full details from the BBC Proms Inspire website.